The team at Gardening Northside have been landscaping North Shore Sydney for well over a decade, and we’ve seen landscaping trends come and go. We have tackled a number of challenging landscape makeovers, including complete overhauls of wildly overgrown and unkept gardens. Our professional staff know what it takes to offer both cost-effective and impressive landscaping that will improve the look of your home or commercial establishment for the long term. Our wide range of landscaping services are affordable, with including plant selection, stone pathways, pebble work, edging and borders and more. Design and attention to the surrounding environment is critical in this area, especially along major transport routes; the right hedges often improves privacy and and in many cases filter noise levels. 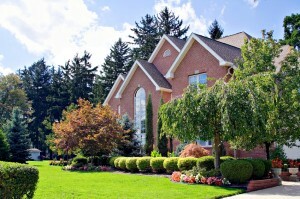 Our team can assist you to make informed choices and create a landscape to impress. For the newer residential developments, landscaping often means getting back to basics and starting from scratch with the right layout and infrastructure. 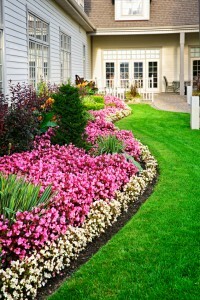 You can establish a modern look and a lower maintenance garden at the same time. Retaining walls can be used help give structure to a sloping garden, or create extra dimension where space is limited; with commercial clients sometimes looking for more geometric pattens, and residential clients often enjoying a more natural, three-dimensional look. Gardening Northside happily provides consultation and regular service to commercial organisations in the area, and currently caters to a large roster of regular commercial clients. Whether you’re looking for landscaping North Shore, Lane Cove, Willoughby, or any other area North Shore focused, we’ve got you covered. Call Gardening Northside today on 0422 812 612 or 0403 869 300 for a free consultation and quote with a north shore landscaping expert.